How do we face these complicated questions? Wouldn’t it be nice if there was one overriding principle that governed all of these questions? Some people try to make it simple, so they hold up one great Christian principle: love. In terms of Christian principles, love is right up near the top. Because of God’s great love for us, he gave his one and only Son. That’s the difference between life and death, hope and despair, right there! Read 1 Corinthians 13 sometime and you’ll see love is right at the top. Love can answer any question—“Just do the loving thing…” But if you’ve been around long enough, you’ve probably realized that you don’t always know what love is. Can it be loving to tell someone that they’re wrong? Is it loving to let someone abuse me instead of reporting them? Is it loving to deny an alcoholic a drink when they really want it? Just because love is important, doesn’t mean it’s everything. When we’re faced with really difficult moral and ethical questions, let me offer another Christian principle to couple with love: humility. 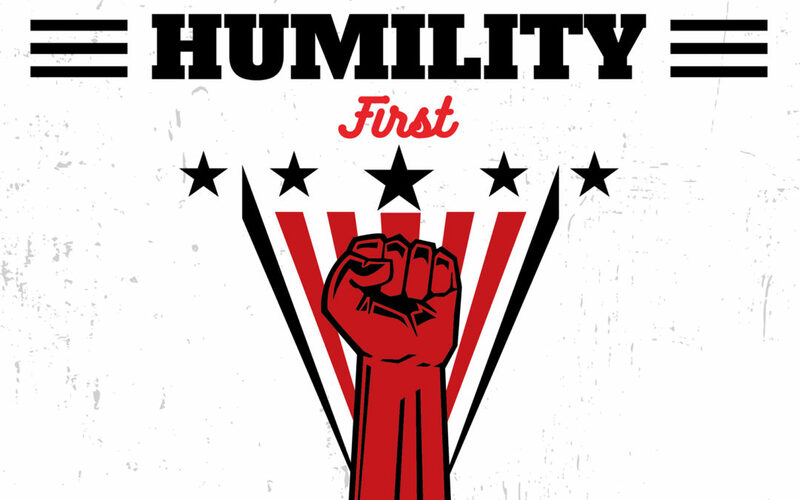 Humility might be the least remembered Christian principle because it never brags about itself, but don’t underestimate its importance. Humility is at the foundation of all the great Christian truths! Start with Creation. The very fact that we are God’s creation means that we are subject to the “laws” he has placed on us. I can’t fly, no matter what I’d like to think; I can’t answer every question, no matter what I’d like to think; and I can’t always do what’s right, no matter what I’d like to think. I need to be shown my limits by my Creator. Sometimes I need to be told what’s best for me, even if I disagree with it right now. Consider too, Redemption. Redemption is all about humility. God himself put on the greatest display of humility by becoming something strange, weak (sometimes smelly)—a human like you and me. And then think of the goal he had for that human life! Why would the Creator-of-all-things decide to become an outcast, and then choose to be beaten and executed as a criminal? How much humility did that take? Yet he chose to do that because I’m not the humble, trusting creation I should be. How humiliating! But also, honoring. Finally, consider our Christian hope! Jesus humbled himself in order to honor us—ultimately bringing glory to himself! He calls us to humbly repent and believe, and promises that the dead will be raised to new life! He promises that our bodies—that will all be humbled by death—will also be honored with life in the new creation. When Jesus comes again and restores all things, he will make all things right! That’s the promise of his resurrection! Second, this teaches us to stay humble, because it doesn’t all depend on us! Whatever I do, I trust in God that he will make all things right. I will do my best to serve my neighbor, even if he’s on the side of the road begging for money—but I don’t think it’s my job to “save” him, nor do I think I really know how! I don’t stand apart from everyone else and think I’m a superhero who can save them all—I’m part of this fallen world myself. And I’m in need of a Savior just like everyone and everything else! But in this humility we still go out in this world with a light that shines in the darkness. Our hope is the message of God’s salvation. Our promise: one day “he will swallow up death forever. The Sovereign Lord will wipe away the tears from all faces” (Isaiah 25:8). I may not know exactly what’s right today, but I have the message that Someone Else will make all things right in the future. Dr. Daniel Berge is Professor of New Testament Studies at Lutheran Brethren Seminary in Fergus Falls, Minnesota.